With so many natural black hair care products filling so many shelves of beauty supply stores and convenience marts, it can be tempting to fill your carts with whatever products promise you long, strong, healthy and shiny hair without performing due diligence to determine if their claims are really true. Before you do that, you might want to know what ingredients to look for and what to avoid in natural black hair care products. Perhaps there's nothing wrong with that practice of experimentation to an extent. After all, how will you know what items truly work well for your specific style and texture of hair if you don't try them firsthand? For example, a friend might rave to you about the way coconut oil soaks into her naturally worn Afro with ease, and how it provides a great luster when she flat irons her hair into a straightened style. You, on the other hand, might discover that the same coconut oil product used on your slim Sister Locs causes them to appear dullish and discolored, as if they contained flecks of lint. So, what does that tell you? Even so-called "good" ingredients might not work well for your particular hair type � so play around to find the best combination of products for your natural hair. Also, read on and reference the below list of potentially harmful versus positive natural hair care product ingredients to help make shopping for your beauty regimen necessities easier by letting you know the contents to stay away from and those to seek out in droves. Be prepared to start checking out the ingredients list on the labels of the products you purchase, even if they have "all natural" wording all splashed on the front of the package. Listed by order of volume � with the most voluminous ingredients appearing first � the ingredients in your hair care products should steer clear of sulfates. The only reason sulfates were placed in certain shampoos and various cleansers in the first place was to make consumers feel good about all those suds they create. The problem is that sulfates don�t stop at stripping away merely dirt and oil, but they also take away the natural oils that cause our hair thrive. Not all oils are beneficial to your hair, and ingredients like the above three mean that you're getting a cheap substitute that could actually end up putting undue weight upon your hair and scalp, preventing your own natural oils to flow through. Instead, check for products with ingredients such as jojoba, olive, safflower or other natural essential oils that genuinely have a moisturizing effect � not a smothering or masking effect � upon your hair. Who doesn't like great-smelling hair products, and as a result, great-smelling hair? Unfortunately, the synthetic fragrances included in many hair care products can also cause bad side effects � like headaches, dizziness and vomiting � for a portion of the population that uses them. But don't despair: You don�t have to give up smelling great. Instead of relying on synthetic fragrances, use the natural and pleasing aroma of essential oils such as peppermint and rose for a healthier alternative in your hair products. The gel of the aloe vera plant has long been touted as a soothing remedy for burns, but did you know that it has been known to work wonders for your hair as well? The enzymes within aloe are known to help encourage hair growth and prevent hair loss due to the way it helps unclog dead skin cells that might be plugging up the follicles and stopping vital nutrients from penetrating them. If you've had a problematic scalp plagued by dandruff or conditions like psoriasis or seborrhea dermatitis, you might want to give products with aloe vera juice a try. 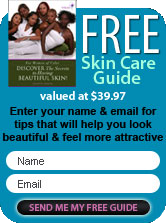 #2 � Shea Butter Shea butter is wonderful for soothing a dry scalp, without clogging up your pores in a harmful manner. It is an emollient derived from African Shea tree nuts, and in its purest form may look a bit thick, however, once mixed with other essential oils, it can serve as an excellent moisturizer from your scalp to the roots to the tips of your hair. #3 � Vegetable Glycerin The name might look a little scary, but vegetable glycerin can actually act as a great emollient to help bring moisture into your hair and make your hair softer. This ingredient can assist in preventing breakage to your hair when you comb it, due to it being in a more pliable and malleable state. Some users mix it with water � and while it sounds like simple common knowledge, good old H20 (water)is often forgotten about as one of the best moisturizing substances around. All in all, it can take time and patience to become the type of label-scouring person who searches for "all natural" hair products that contain some of the good ingredients listed above and becoming aware of the ones with bad ingredients. But doing so can be well worth the time spent investigating the things that help your hair thrive. There's no use in continually purchasing any product that contains unhelpful ingredients that make your hair worse � not better � no matter how much of a deal they seem to be. 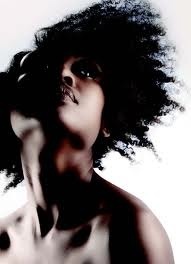 Instead, taking the time to research like you're doing now � bravo to you, by the way � the types of ingredients that can provide a solid foundation for a well-managed natural hair care routine is worth its weight in gold. In time, your hair and scalp will thank you for the time invested and attention paid to only using natural hair care products that have been crafted to cultivate a healthy head of hair. So get started clearing out that burgeoning shelf of beauty products with bad stuff, and replace them instead with the types of quality products that make your hair say, "Ahhhh!"